Ashwin B currently serves as the Chief Operating Officer for Exide Life Insurance. He was assigned to this role when he joined the firm, back in August 2008. At Exide, he is responsible for managing the entire Operations and Customer Services, Information Technology, Product Management, and Business Analytics functions. 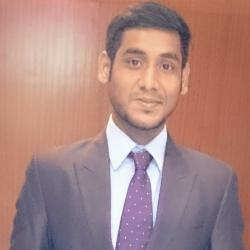 Ashwin had completed his Bachelors in Mechanical Engineering from IIT Roorkee, following which he pursued Masters in Management Studies from NMIMS (Mumbai). Besides, he is an enthusiastic golfer and prefers embarking on long drives for time he finds recreational. 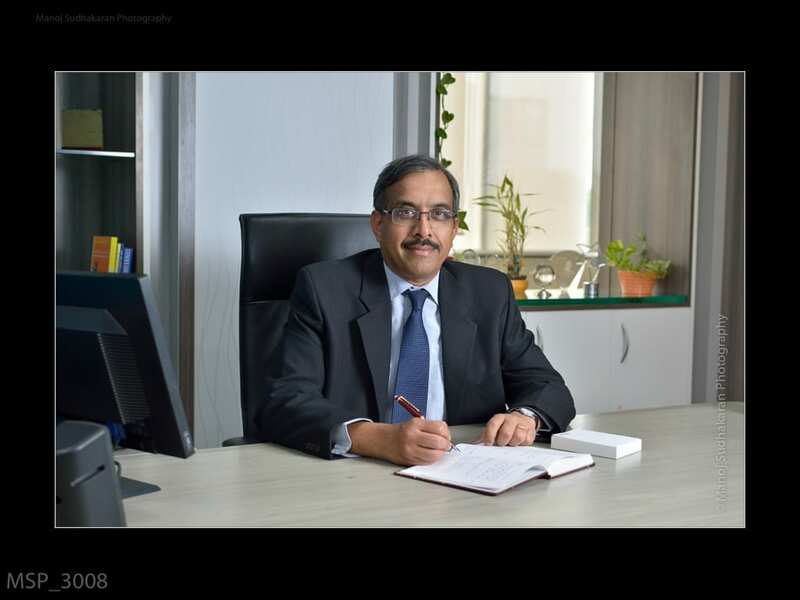 Ashwin has accrued over 30 years of experience across domains such as Customer services, Operations and Sales, across Life Insurance, Retail, Banking, and Consumer Durables industries. Analytics India Magazine interacted with Ashwin B, the COO for Exide Life Insurance to find out how the organization is leveraging analytics to streamline its finance and insurance-dedicated offerings. Analytics India Magazine: Please talk about the journey for Exide Life Insurance so far with regards to an analytics-propelled insurance space. Ashwin B: There is a huge demand of skills for analytics in the Insurance industry, which is witnessing a substantial growth. We started the analytics journey few years back and have made significant progress as we have managed to integrate analytics to manage Renewals, Underwriting, Marketing, Claims, and New Business. AIM: What is the state of analytics in India? What is Exide Life’s Insurance strategy towards increasing the use of analytics? AB: Analytics is gaining momentum in India. Large national and multinational companies are aware and eager to apply analytic tools and data science for solving business problems. As per recent studies, Analytics in India is expected to witness ~ 8-10 times the growth by 2025. We have commenced our journey and it will take us some more time before we are able to establish analytics as a centre of excellence and utilise its full potential. Having said that, we have drawn up very clear plans and are ready to invest in building our analytics practise in the coming years. AIM: Talk about the key technological trends and challenges surrounding use of analytics at the moment. How do you leverage those trends to overcome the impediments? AB: The Life Insurance industry has undergone a significant change due to changes in the economic environment and rapid regulatory changes to accommodate customer interest. As a result, there is a need for each insurer to predict the impact of these changes, in order to formulate strategies to deal with the challenges. However, a challenge faced by insurers is the lack of sufficient open market data coupled with limited customer data points. Apart from managing customers’ reasonable expectations, managing Customer Satisfaction, and improving Service Standards, the management is also expected to focus on Operating Efficiency and meet shareholders requirements of running a profitable business. One way to meet the above is to rely on analytic skills and work around big-data, social-media, machine-learning, and artificial intelligence. Big data plays an important role in helping to understand and classify risk, thereby enabling us to analyze the risky profiles and mitigate policy lapsation, and reduce claims. AIM: Exide Life Insurance makes extensive use of analytics for delivering insurance services. Would you please describe how exactly is analytics being used in the solutions you provide? AB: The focus of the insurance industry is slowly shifting from traditional dashboard reporting to use of analytics to predict future trends. In my opinion, if a company wants to achieve a competitive advantage, the way forward is to make analytics as an integral part of its decision making. At Exide Life Insurance, we are using advanced analytics solutions for driving operational efficiency. We support both the front office to ensure Quality of Acquisition as well as the back office by focusing on Quantity of Retention. We have developed various models to understand business fluctuations, improve underwriting, enrich customer profile, reduce lapses, and target existing customers for effective cross sell. AIM: Please present us with a case study where you helped your clients by offering your analytics-based insurance services. AB: Let me take an example from customer retention. Policy lapsation, where customer stops paying the insurance premium due to a variety of reasons is one of the biggest challenges for all insurance companies. This has a direct impact not only on the top line revenues, but on the profitability as well. At Exide Life Insurance, we face similar challenges as the insurance industry. In order to address the persistency issue, we worked with the business to identify key variables which impact persistency. We then developed a predictive model to identify policies (from a lapse perspective) and classified all the premium paying customers as per the risk scoring. The Renewals and Retention teams utilised the customer segmentation for drawing up retention strategies as well use specific interventions to interact and engage with the high risk customers. AIM: Describe the work culture at Exide Life Insurance. How do you promote an analytics-driven culture at work? AB: The organisational culture at Exide Life Insurance is to provide ‘Space to perform and opportunity to grow’. Every organisation adopting analytics generally goes through a maturity curve from descriptive to predictive and then to perspective analytics. At Exide Life Insurance, we have moved from descriptive to predictive. To promote analytics, we initially started with focusing on the Customer Service and Operations functions by creating a few success stories. This has helped establish Analytics as a key differentiator and has helped in getting sponsorship from other business functions. AIM: What is the roadmap for Exide Life Insurance in an analytics-driven insurance space. Would you like to highlight any future project that is rooted in analytics? AB: We started the analytics journey a couple of years back and have made significant progress as we have managed to integrate analytics with some of the key back office functions. Our roadmap for future is to fully integrate analytics across the Customer life cycle from the Acquisition stage to the Claims stage. We also have plans to explore higher order problem solving by leveraging emerging trends in analytics industry e.g. Sentiment Analysis, Survival Analysis, Speech & Text analytics, etc. AB: The market is becoming highly disruptive and at a feverish pace with most of the disruption not coming from the market leaders but from the Start-ups. The biggest differentiator for successful start-ups is that they are not afraid of challenging the status quo. Therefore, my only advice to aspiring start-ups is never stop trying new things as this can prove to be the game changer for any industry.